Next week I'll share all of the details on that transformation, including the surprising first life of the ceiling medallion. became green beauties! I'm about finished with the basic upholstering, but am trying to decide how to finish them off. Plain, ribbon trim (remember, I'm accenting with pink and orange), or ribbon and nail head trim. I think I know which one I'm leaning towards, and if you know me at all you can probably make a pretty good guess which one it will be. I didn't really talk about it in my plan last week, but there's plenty of room for us to create a sitting area in the room. Once again, Craigslist turned up a pair of these vintage wingbacks. They have a slim profile and are Ethan Allen. So, although old and not perfect (one foot was chipped and I think they'd been stored outside), they're heavy, sturdy, and well made. I've been working to get them stripped down and ready to re-upholster. A yucky job that is not fun at all, but my upholsterer discounts about $50 per chair if I do the tear-down, so it's worth it to me. I really went back and forth on the new fabric to choose. 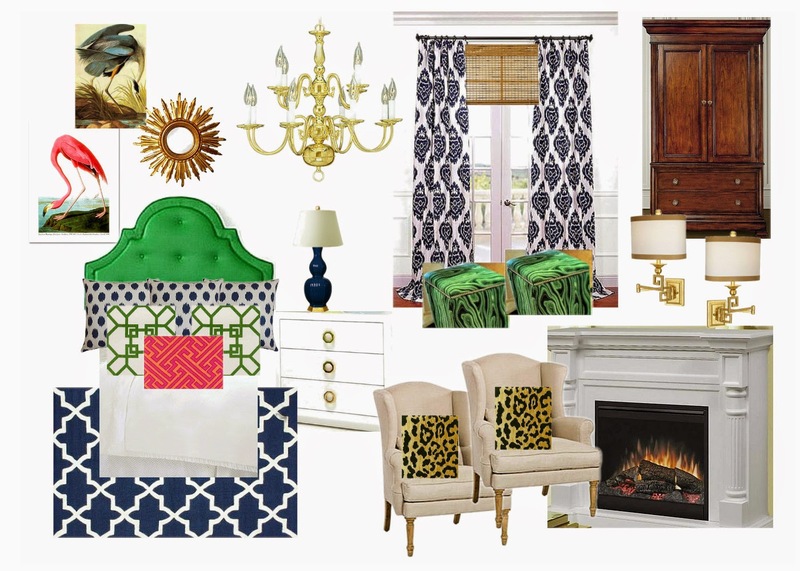 Part of me wanted to do a great patterned fabric, like the Jamil leopard that I'd like to use somewhere in the room. In the end, though, I decided to go neutral on the upholstery. I can add some great pillows, and I knew there would be plenty of other patterns going on in the room. This is the fabric I ended up choosing. 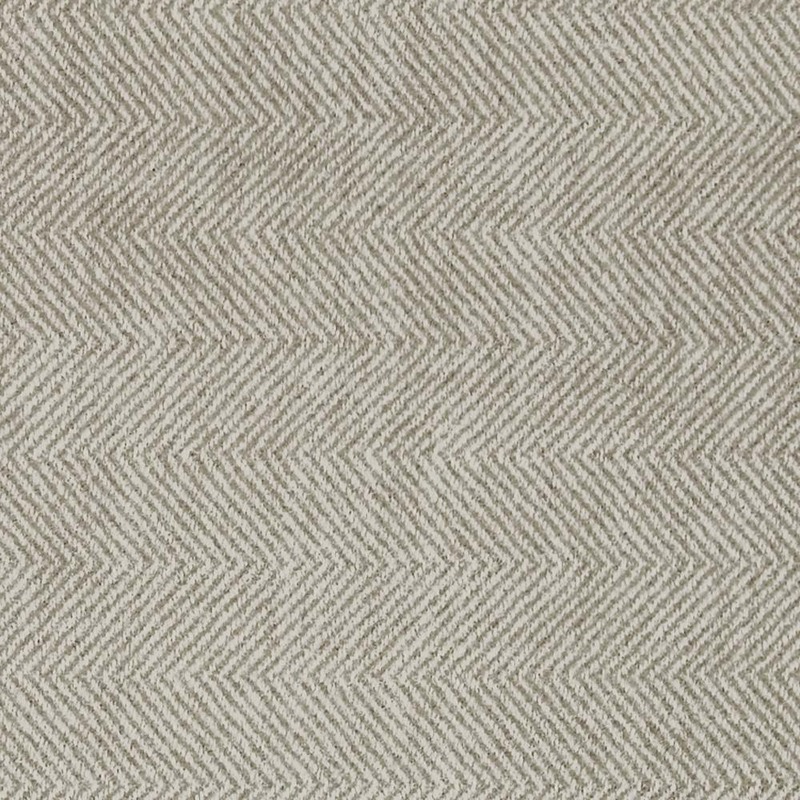 It's classic and neutral at a glance, yet close-up has that wonderful herringbone pattern and texture. 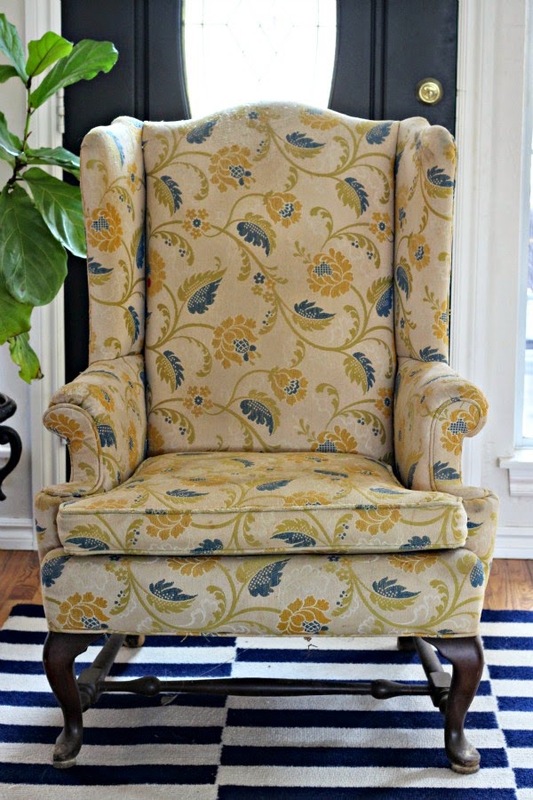 I saw it made up on a sofa at a local fabric shop, but found it online for a few dollars per yard cheaper. Every little bit helps! I've got a few deliveries on the way that I'm VERY excited about, but I need to keep plugging away at the DIY projects. I know these weeks are going to go by so quickly! You can check in on all of the other participants linking up here. See you next week! I absolutely love those stools. The fabric is amazing and the chandy turned out so pretty. This is going to be such a gorgeous room. I am very curious about the fireplace in your board!! You are going to be a busy bee the next few weeks!! Jennifer!! I love how you get stuff DONE!! That chandelier, the stools???????? I love love love. And I can guess which way you'll go with those - hmmmm - nailhead trim and ribbon?? Your chairs are going to be fantastic too, can't wait to see your progress next week! You are doing great!! That chandelier is fabulous!! I think I saw those same stools a few years back and I remember thinking of you!! They are going to look great - as is everything else!! Keep up the good work friend! Love that chandelier! 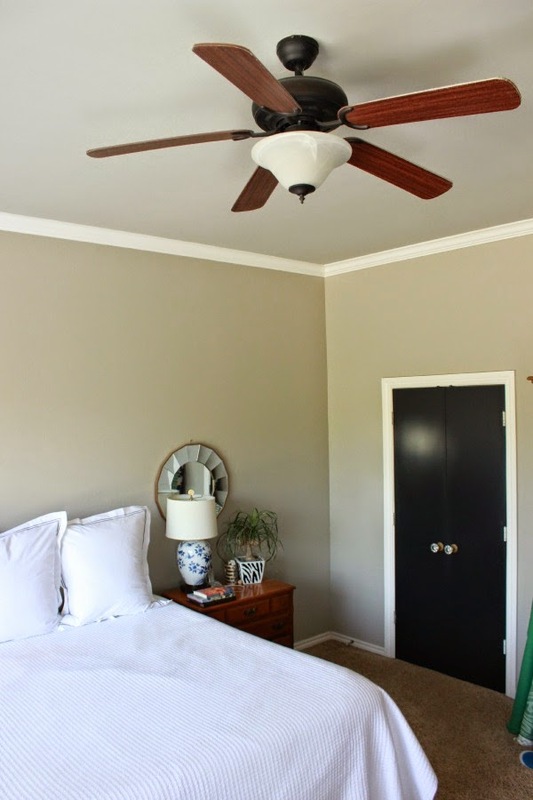 I convinced my husband to forgo a ceiling fan in our room and I'm so glad he went for it! I'm sure we will miss it a little this summer, but I'm looking for the perfect decorative fan that I can leave out on the dresser or something. Those stools look so good! You are one talented lady! Wow, the chandelier is stunning! Beautiful fabrics and colours, can't wait to see more! Mallory, it's mutual! Wish we could shop together! Thank Katie, we're loving the "new" chandelier, and we can actually SEE in there now! The fan light was always so dim. I'm happy with the fabric choice, too. I think the chairs will be really pretty and versatile. Marty, thanks for your sweet encouragement! Lisa, good guess! ;) You do know me. Trying not to be overwhelmed and knock one thing out at a time! Yes, on Craigslist? I've had them for a while, so probably so! It's just nice to have one or two things checked off the list. Thanks Denise! Well, we have a beautiful (NOT) white oscillating fan out right now, but it's easy to throw in the closet if we're having company or not using it. I do need to find one that's a little nicer looking, even with just us looking at it. So glad he agreed to the swap! Thanks, friend! Cannot wait to see how it turns out! I wondered, but we really haven't missed it! Thanks Cassie! Oh my gosh, it's looking so good! That chandelier! That CHANDELIER!! Beyond gorgeous. 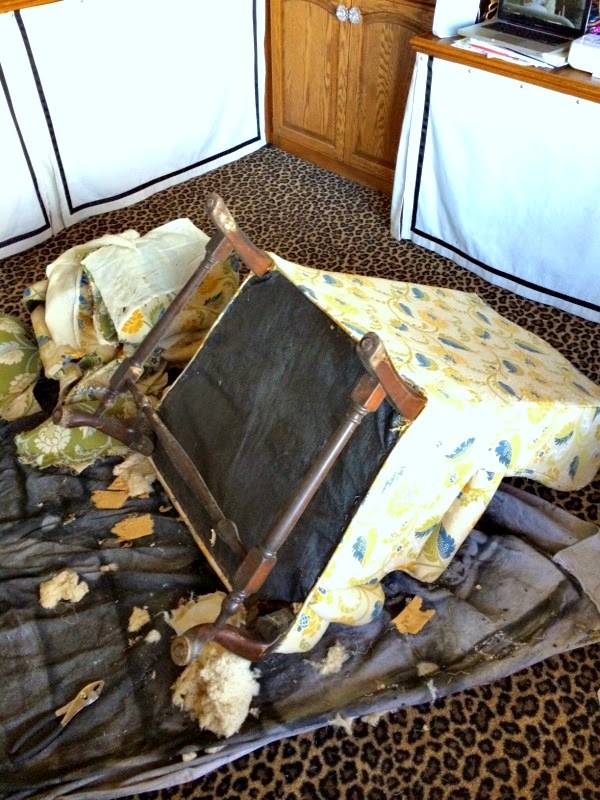 And man do I hate stripping old upholstery - I hope you are wearing a dust mask, it is some nasty work! Thanks Gabbi! It was a fun makeover and we really haven't missed the ceiling fan! Glad that we can tuck the floor fan away when needed. Thanks Jen, Gotta love a good CL find! Yes, I had to make a special trip to pick up some masks. These were especially dusty and even a little mildewed. Ewww... got them all cleaned up, though! Ok, it's official, you and Pam have the best Craigslist luck ever! You worked some serious magic on that chandelier...love it! That room is going to be gorgeous! Can't wait to see the final product! Oh my goodness ... that chandelier is STUNNING!!! Can't wait to see how the rest turns out!!! Jennifer - that chandelier is gorgeous! Wow! And i love the green fabric for those stools! I bet you're going with ribbon and nail head trim?! You made great progress this week. Wow, Jennifer! You have been so busy! It's going to look fantastic!! Love! I'm looking for drapes in that exact fabric! Are you making them or did you purchase? Will you share where you found the fabric/drapes? Thanks! I think that's pretty spectacular progress for a first time ORC'er! I'm ***way*** behind by comparison! Love the chandelier! I love the chandelier! I feel for you on stripping down those chairs, such hard work! 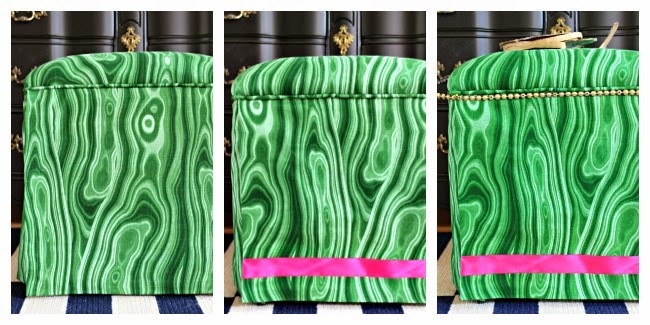 I love the ottoman stools in the malachite fabric; I've been trying to figure out where I can use that same fabric in my home! You've accomplished A LOT for the first week! Wow, cannot wait to see this room. 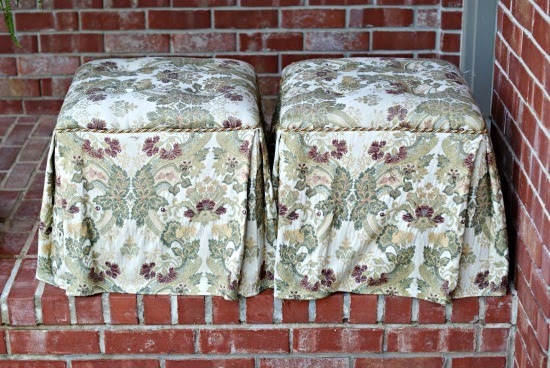 For the ottoman I would go with nailheads and no ribbon. I have an ottoman that I am studying at present and that is my plan for mine. We will see!!! Lookin' good girl!! That chandy! I'm always up in arms about whether or not to lose the fan. I use it every night too but I would so much rather have a chandy! I'm so impressed!! Those stools look amazing in that malachite fabric!! And that chandy is so fabulous! I'm so glad your husband agreed to get rid of the fan...a chandy is so much prettier! I look forward to following along. We have a couch that is covered with a similar herringbone fabric. It's a great neutral but still has a pattern to keep it from being boring. Can't wait to see it used in your room. And that light fixture is just stunning. I will tune in next week for more info. The light is great! Can't wait to see it finished! I've been working Craigslist so hard and cannot find a thing! I'm looking for a chandelier, too! You're having fantastic luck! The colors you're using are my favorites -- this will be gorgeous! This is going to be amazon…love the chandelier and the colors…fabulous! You're a lucky girl - I was never able to talk my husband out of our ugly ceiling fan! 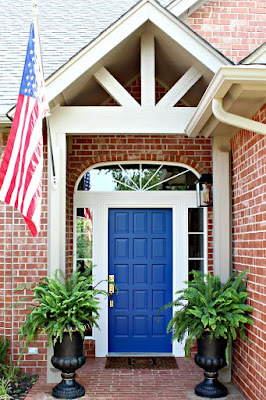 Love the new fixture and all of your great finds!! This is going to be soooooo good! Can't wait to see it all come together Jennifer! Hey Lauren, shoot me an email at dimplesandtangles@att.net and I'll send you her info! Such incredible transformations!! I envy your bravery and talent in redoing some of those pieces. Nice work! $20??!!! Shut up! WHAT A FIND! Love it's new look Jennifer and those ottoman stools are fab, of course I love the fabric dear ;-) Can't wait to see more, good luck with that chair! 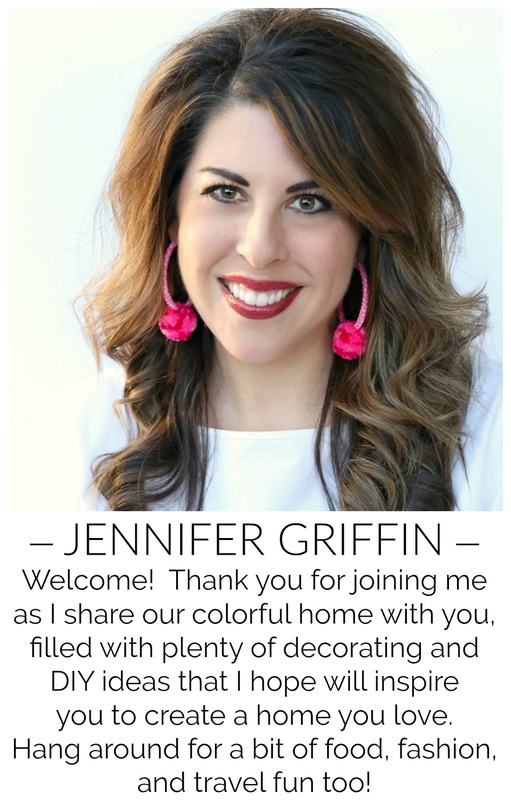 I Love what you did with that light fixture, Jennifer! I can hardly wait to see the reveal of the entire room! Jennifer I know your room is going to look stunning...can't wait to see more!! i love all the DIY you are doing....and i can't wait to see that chair!! Love where this is headed! 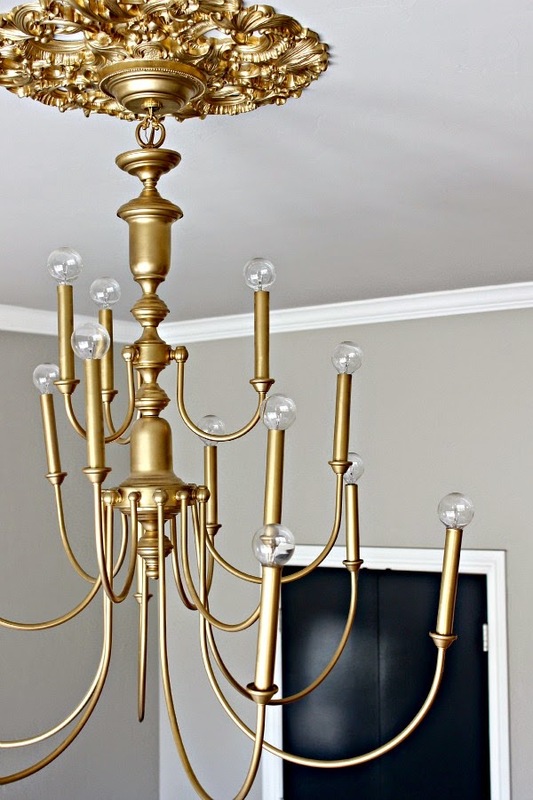 Love the chandelier transformation! I totally need these light bulbs for my dining room chandy that I spray painted a few years ago. You are so very clever my friend!! LOVE it all!